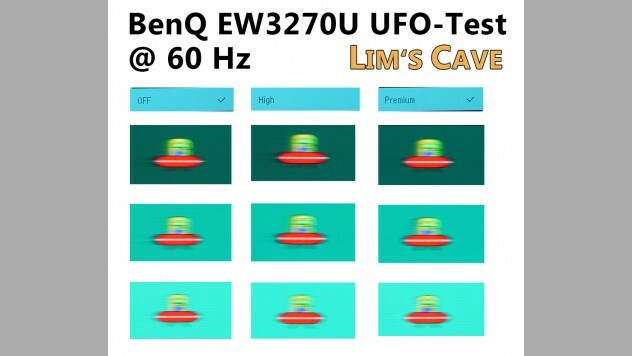 The BenQ EW3270U is the first 4k (UHD) panel review on LimsCave.com and the first one without a high refresh rate panel. 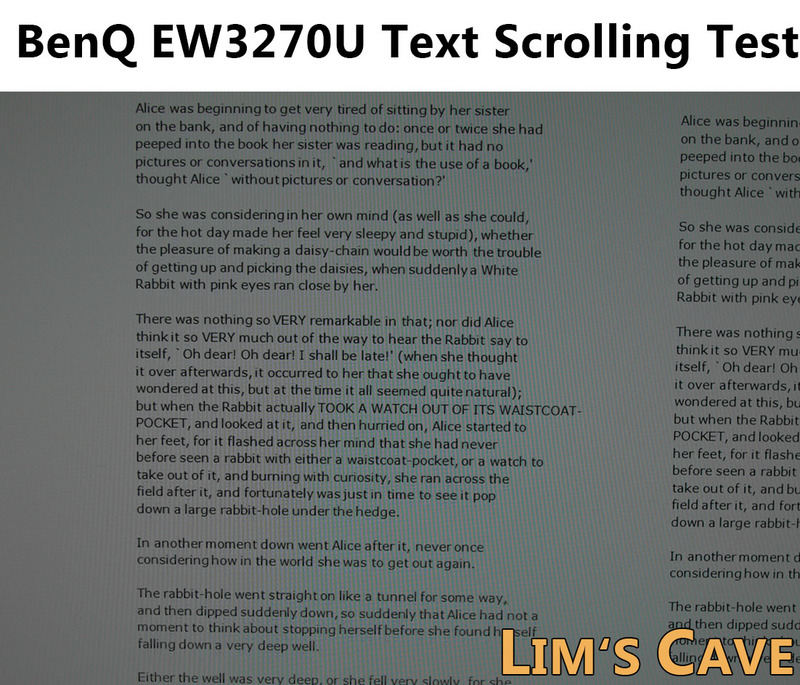 BenQ has invited me to review the EW3270U and to keep it for further future comparisons. You shouldn't worry about any influences "only" because I can keep this unit, I will mention all Pros, Cons, and issues as always - The BenQ is no exception. Of course, I was very curious about its Quantum Dot panel and how well the HDR (High Dynamic Range) feature will work. 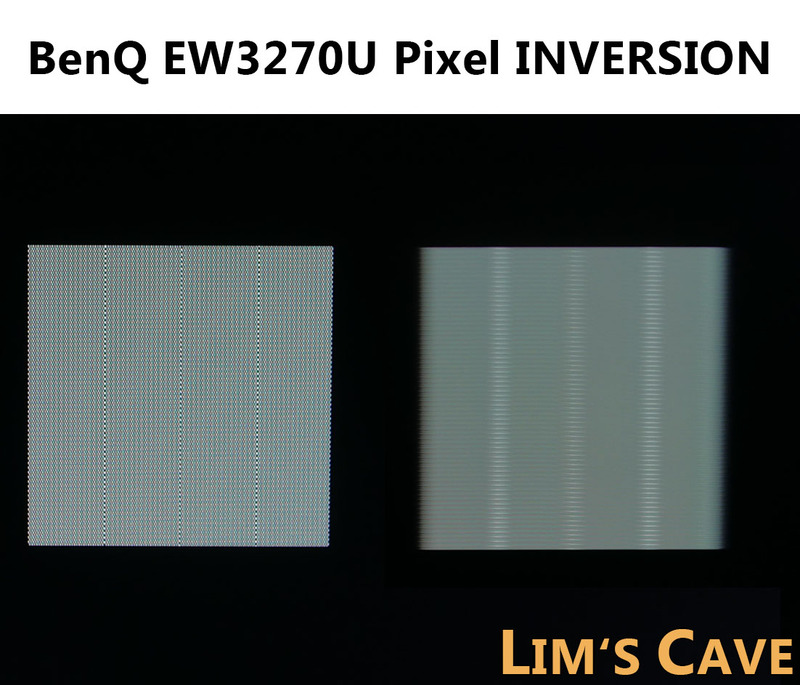 The BenQ EW3270U supports HDR and a simulated HDR mode for content which does not offer "native" HDR image. 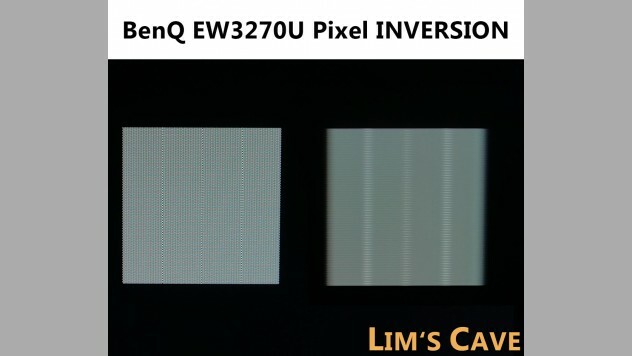 So the BenQ has built in a 10-Bit Samsung VA panel type Quantum Dot display with 60Hz, a 4K UHD resolution with 3840x2160 pixels and a PPI (Pixels per Inch) of 139,867, Freesync support (40-60Hz), and a response time of 4 ms (GtG). 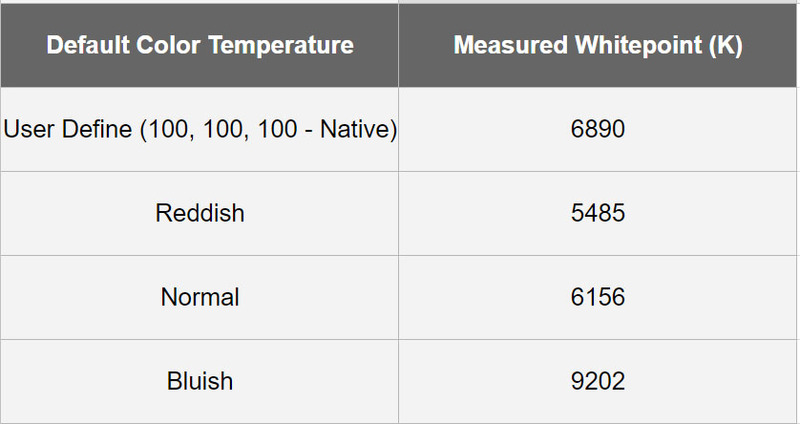 The BenQ has stated a native contrast ratio of 3000:1 and maximum brightness of 300 cd/m2. Update: Please read the update section within this review. 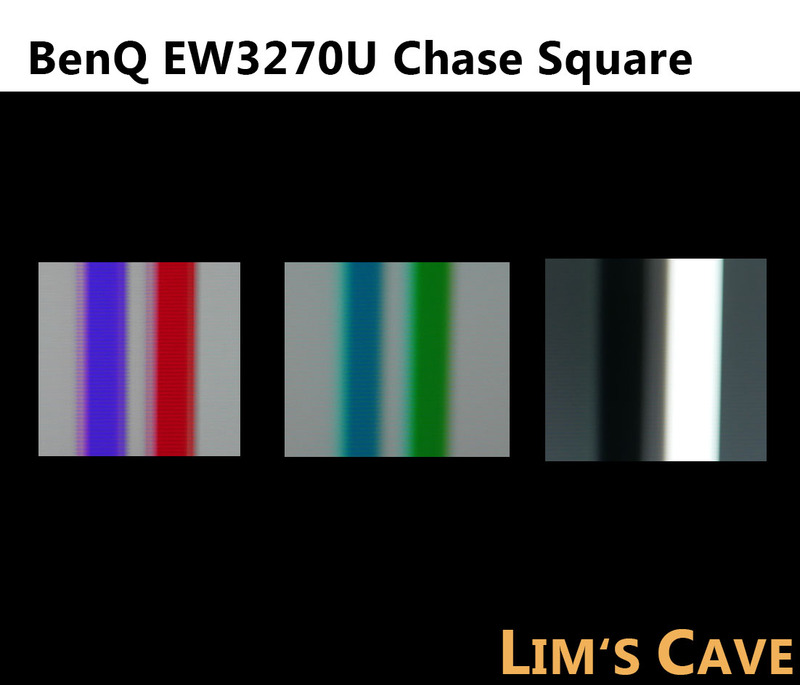 The BenQ is using "Enhanced Phosphor" except the Quantum Dot technology which differs in terms of the spectrum. The BenQ's focus is on multimedia enjoyment, watching movies & series, browsing the web etc. So that BenQ doesn't has stated this a "real" gaming monitor. Indeed, the BenQ isnt a real one since a high refresh rate panel for the PC is the best you can get. However, for console gamers, the BenQ is a highly requested monitor to review simply because consoles cannot reach a high refresh rate and many console users simply prefer a sharper image compared to a higher refresh rate. So is this the ultimate PS4 or Xbox One X HDR gaming monitor you can get? Let us will find out. So as you can see, colors are really extreme intense on the BenQ. 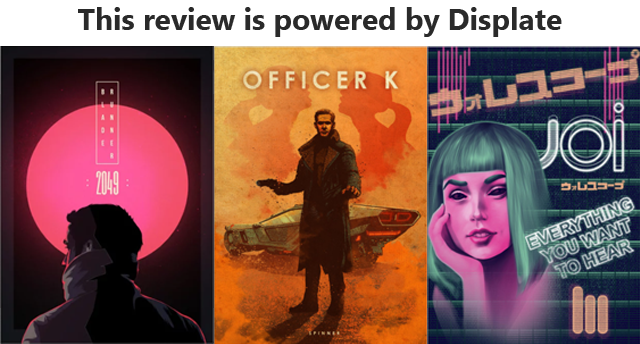 It is personal taste if you prefer these punchy "neon" colors over a panel with a color gamut volume of 110% for example. You also can set RGB mode so that you will limit the volume to around 100%. 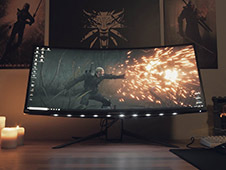 Even when comparing to the Samsung CHG70 or the Samsung CFG70, colors are more vibrant but viewing angles are a bit worse so that you will have a bit less saturated colors on around the center area of the screen, of course always depending on the distance to the panel itself. 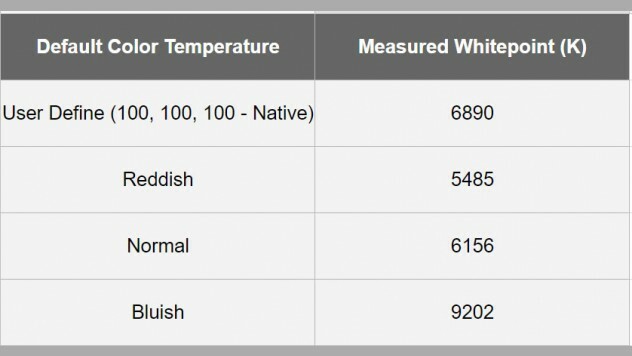 A "true" HDR monitor should reach a brightness peak of 1000 nits (or cd/m2) but the BenQ only offers a max. brightness peak of 300 cd/m2. 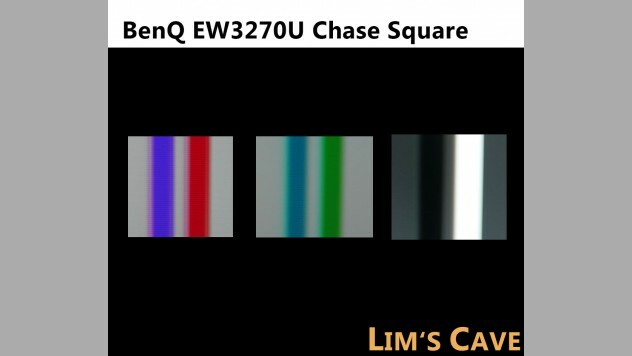 So is it possible that HDR can even look good or improve the overall image quality on the EW3270U? Short answer, yes. Long answer: The max. 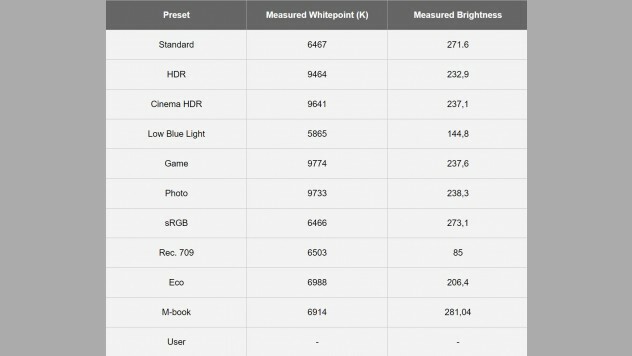 brightness in a display WITHOUT local dimming is not that important as you might think, even a higher brightness would, of course, increase the overall HDR image quality (when the monitor supports local dimming or you are using an OLED screen) and games works differently compared to movies. Watching an HDR 4k movie on a display with 300 cd/m2 or even a 500 cd/m2 looks extremely dark (watch my Samsung CHG70 HDR movie test and HDR comparison here). The "Key" to enjoy HDR in its full potential is contrast and viewing angles. Wait, what!? Viewing angles!? Monitors and TVs differ strongly from each other. 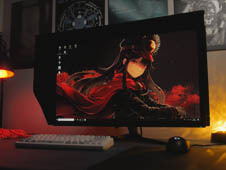 While VA panels are MUCH better to enjoy movies or games on a TV, IPS panels currently have the crown for PC monitors (as long as the IPS is not a deal breaker for you), simply because they do not suffer from color and gamma shift in viewing angles and you have a MUCH less harsh viewing angles to a TV display (usually) simply because you have a much higher range to the panel. 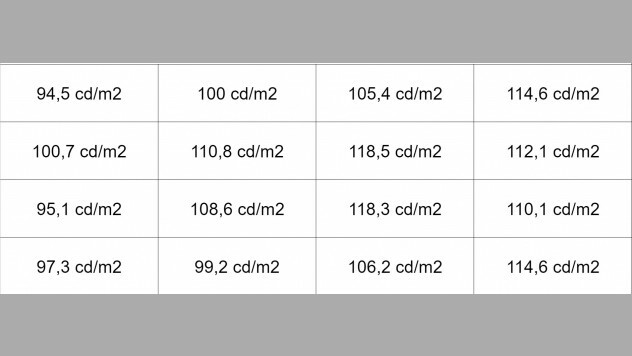 In addition, harsh viewing angles brighten up your blacks on a monitor which is called VA Glow and this is NOT included in blacks, contrast and delta E measurements. 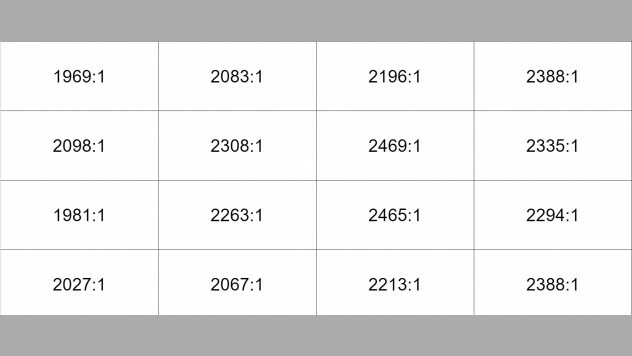 A strong contrast is needed because HDR usually also brightens up your blacks when giving consequently its full brightness power when comparing the same monitor using on 120cd/m2 for example. To avoid this we would need a local dimming function (in a perfect world a direct LED solution with as much as possible direct LEDs). 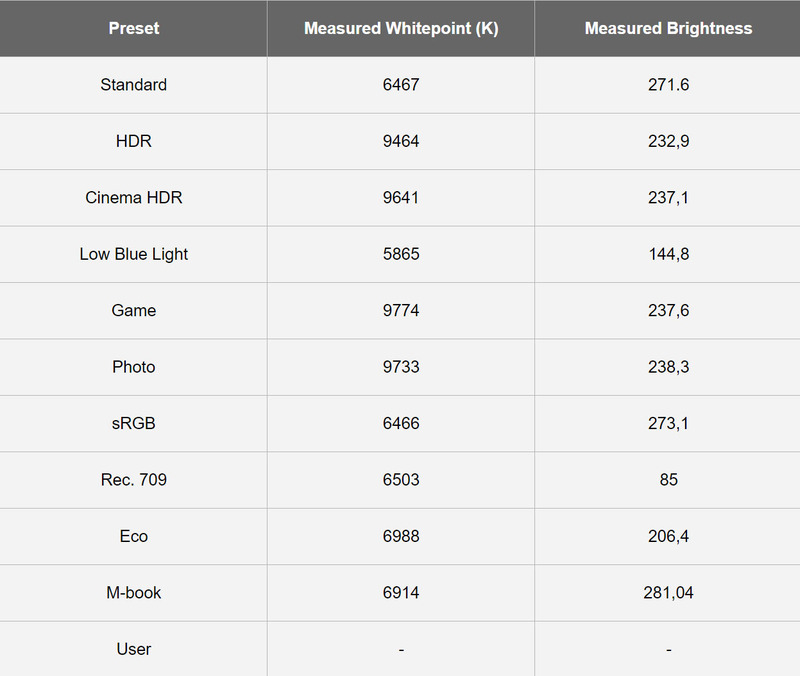 So this is a reason why local dimming TVs currently are the best choices when it comes to HDR displays. *Support me when using my affiliate (Amazon) links. Cost you nothing but gives me a small %. ALL revenues are invested to improve the quality on lim's cave. 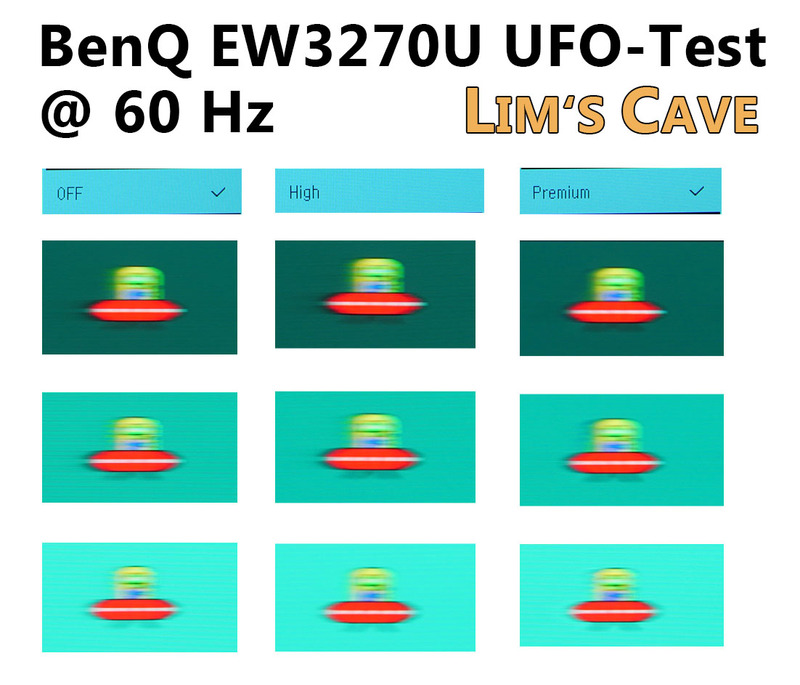 The BenQ EW3270U's built quality compared to other monitors in this price range overall is a bit worse. It is very lightweight for its 31.5" size and is made completely out of plastic (like most other monitors) but the BenQs plastic and especially the panel frame simply does not have this premium look and feel. The foot stand only offers adjustments in tilt - height, swivel, and pivot adjustments are not integrated. The good about this foot stand is that it only needs 14.5cm from the wall to the display and 22 centimeters in total for the foot stand itself. Its design is very decent and it has simply a minimal look, unfortunately with some thicker bezels which also have a bit of a thicker depth. 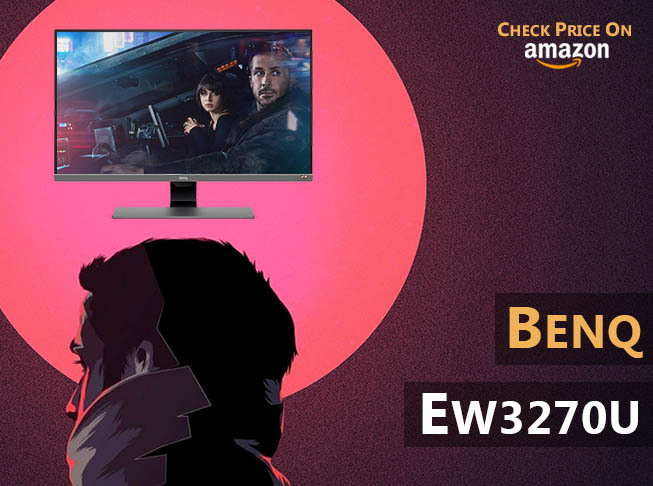 The BenQ EW3270U has a very minimalistic and modern design which fits in all genres. Ratings have been removed. In near future I will add comparisons (Rankings) - This will have two huge benefits. 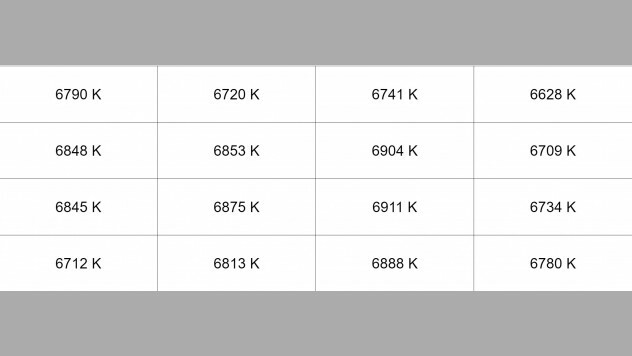 First: You will be able to compare a monitor within each topic (Coating, Black level, Black uniformity, VA Glow, Panel Frame Construction etc.) 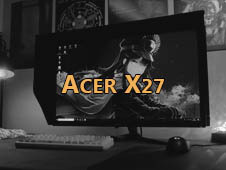 to find the best gaming monitor to for your personal preferences and second I can concentrate on much more reviews. 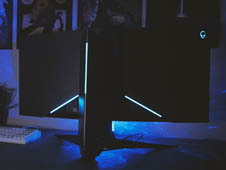 Use lamps in your room to increase the subjective black level and lower the perception of the IPS Glow. Even small desk-lamps can help. 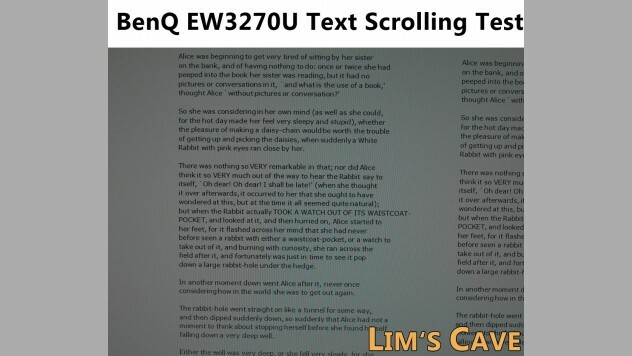 The BenQ EW3270U overall is a monitor which has a fair price-performance ratio. You should check the Pros & Cons by yourself and decide if the Cons are something you can or cannot deal with. Especially for console players who are looking for a cheaper 4k HDR gaming monitor the BenQ is a monitor which is worth to take a look at - but if you just want the best overall picture quality for your console games, I would recommend you to take a look at local dimming HDR TVs. 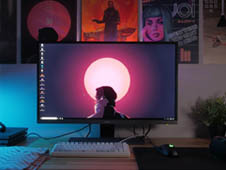 For those who want simply a monitor with the ability to connect it to the PC for a much lower price than those local dimming HDR TVs, there are not many alternatives yet. The BenQs bottom bezel is a bit thick but still has a good design. 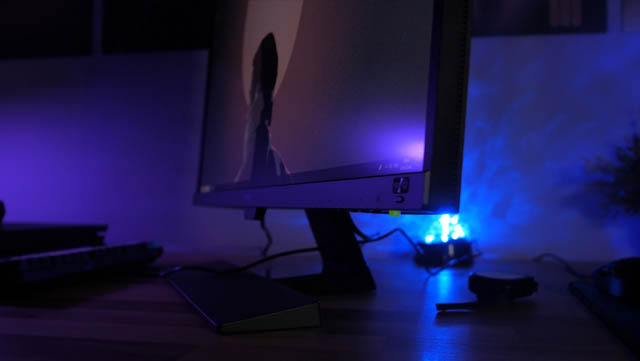 The BenQ as all monitors on the market has its own pros and cons for those who just prefer a crisp 4k screen over 144hz and crazy intense quantum dot colors, this maybe is a perfect choice. 24p support, HDR as a nice to have feature useful gamma settings for console players on 32”. What I do not like is the VA Glow which is mostly typical for VA panels and probably it is just me that I am not a big of VA panels in PC monitors simply because of color and gamma shift in viewing angles, even when sitting directly in front. The simulated HDR mode is really bad but when setting HDR mode in the console you can get a really nice bump in image quality, always depending on the image content. 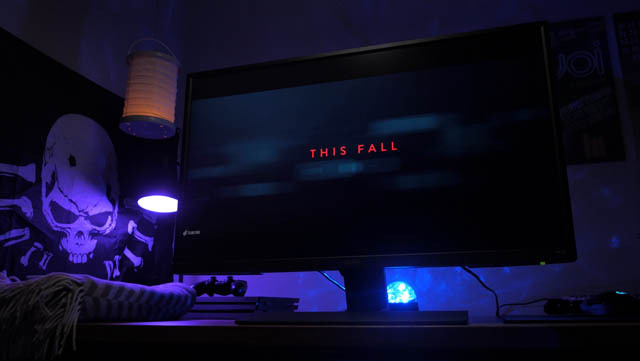 Before you ask me which you should choose IPS or the BenQ with VA, I cannot really give you an answer since most are obviously personal preference, the distance to the monitor and your environment, which means are you playing in a dark or bright room? 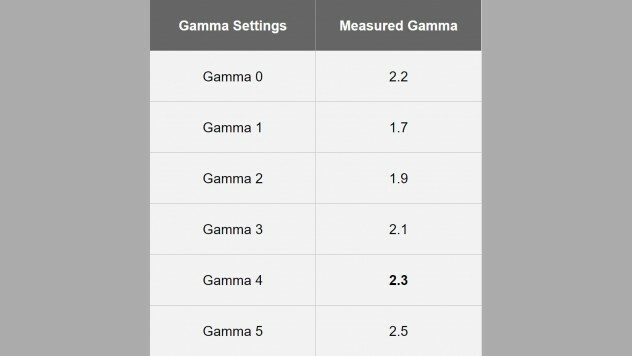 which brightness settings are you using and much more. It does not really matter which 60hz monitor I would pick, the monitor must fit YOUR PERSONAL NEEDS. For now, I could not really find any issues on the BenQ but if I will, I will add everything to the "known issues" area. - HDR support for console players is a nice to have and sometimes even a very good improvement (yet, still TVs are superior) Keep in mind that you cannot change brightness settings when using HDR. The experience in the overall brightness is close as same as a monitor set to around 140cd/m2 when using it on SDR in a game. - Limited viewing angles: also depending on the distance to the monitor. VA Glow (color shift, gamma shift, glitter effect) is pretty obvious on this unit (worse than the Samsung CHG70 for example, but better than on the Omen X35) which also is more obvious due to its size of 32" and combined with its harsher viewing angles. 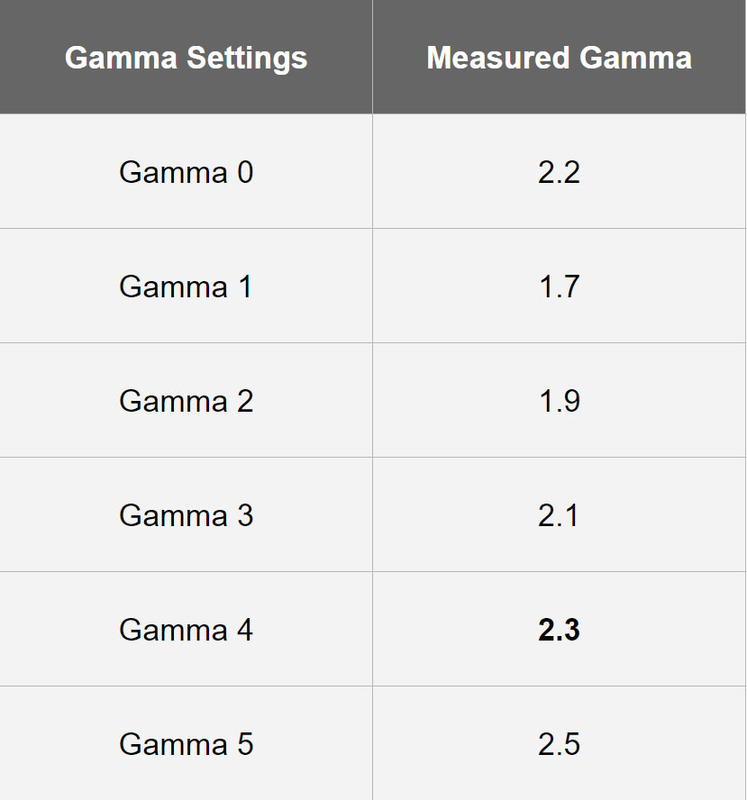 VA Glow is much less noticeable when increasing the distance to the panel. 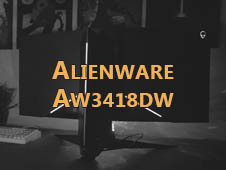 For this particular monitor, does the &quot;brightness&quot; setting act as the backlight where it only affects luminance or does it affect picture quality as well? 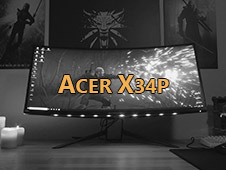 I've noticed other monitors/TVs have a separate Backlight and Brightness setting, so I'm simply wondering if the brightness for this monitor acts as both? hi, is it possible to enable both freesync and HDR at the same time? thanks.? Can this monitor actually be overclocked to 120Hz? I love this monitor for console gaming but my pc misses 144Hz! 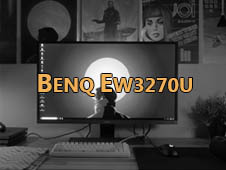 nach Deiner Review zu diesem Monitor BENQ EW3270U habe ich mir das Teil gekauft. Welche Einstellungen hast Du bei Dir vorgenommen, damit das Bild genauso wie bei Dir aussieht? Also wenn ich PS4 Pro spiele, dann schaltet er automatisch in HDR und Einstellungen sind da mau (zurzeit verwende ich Cinema HDR). Wie bekomme ich da die Helligkeit heruntergeschraubt? Und natürlich interessieren mich die Einstellungen für sRGB (für Webentwicklung), damit die Farben da auch so dargestellt werden können, wie beim Druck. Also bevor du meine Einstellungen übernimmst, solltest du dir im klaren sein, dass JEDER Monitor varriiert (Gamma, Farbtemperatur, Helligkeit etc) so dass es also KEINEN Sinn macht meine Einstellungen zu übernehmen (und auch ICC Profile aus dem Internet zu installieren). "Keep in mind that you cannot change brightness settings when using HDR"
bezüglich sRGB Einstellungen brauchst du theoretisch ein Colorimeter um den Monitor zu kalibrieren und hier varriiert wieder jeder Monitor, auch die Farbabweichungen variieren - aber vor allem für den Druck ist VA nicht so gut geeignet wegen den Blickwinkeln (auch wenn es geht, aber es wird nie so aussehen wie nach dem Druck). Für den Druck ist ein Colorimeter demnach zwingend erforderlich und da helfen dir meine Einstellungen leider 0 :) Du wirst nach einer Kalibrierung auch keinen gewaltigen Unterschid sehen um ehrlich zu sein. Meine Einstellungen sind aber auch alle hier (click) im Review hinterlegt. 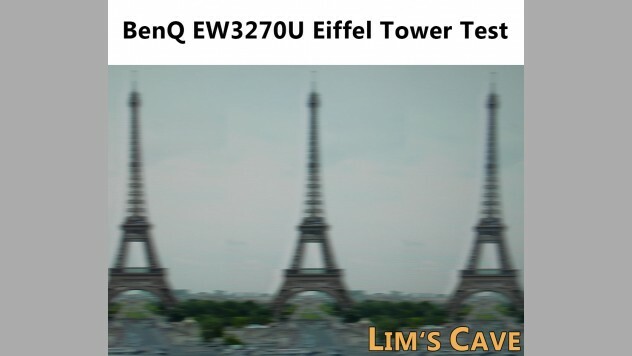 EW3270U is not the Quantum Dot Samsung panel! It is Innolux M315DJJ-K30. Also there is no Black Level setting ora Black Equalizer. It has usb-c (missed in specification) and it can use up to 75Hz (default 60Hz) - how did You get the 120Hz Overclock? I bought this monitor and have problems with native HDR mode in certain apps. Xplane11 does not work at all - the monitor diplays &quot;HDR Emulated&quot; instead of &quot;HDR on&quot; not matter which resolution. Prepar3d v4 is working fine with HDR, but not in 4k resolution. In 4k mode, the monitor switches to HDR mode but after a second switches to &quot;HDR Emulated&quot;. Very annoying. I'm using a high quality DisplayPort 1.4 cable. Hi, i recently got my unit and having issues with 2 big circles that are clearly visible when viewed from above. Their size change depending on the angle viewed from. I cant see it when sitting right in front of the monitor. Is this normal for this model or a va panel in general? Did you have similar issues with your unit? 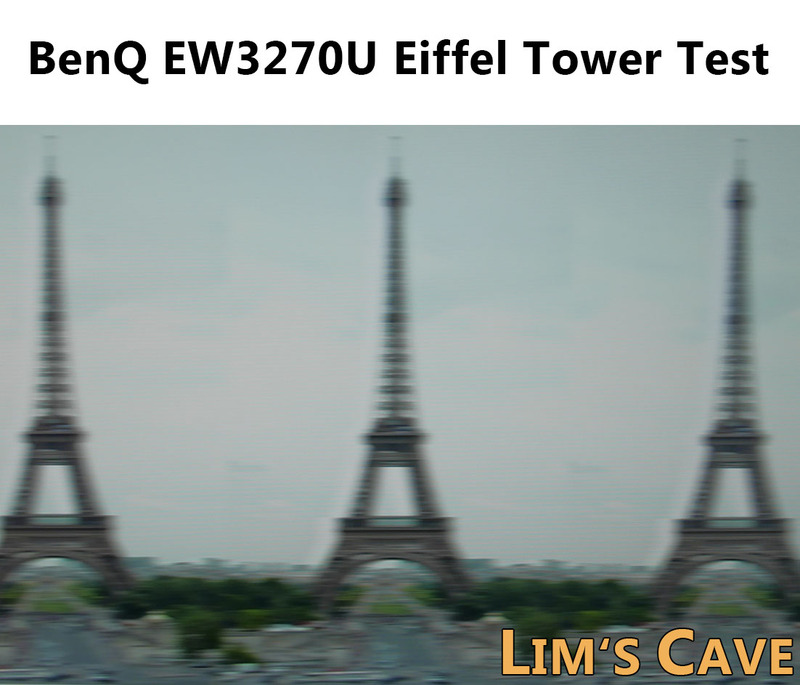 Lg 27uk650 vs Benq ew3270u, which has better picture quality?? and HDR performance??? Im looking for my ps4 pro not for PC , Please guide me. which would be your pick?